Cottage (max 17) and Cabin (max 7) side-by-side, separated by carport for larger groups or families on holiday together. Each can be rented separately, or they can be booked together to sleep up to 28 people including the onsite 4-berth Caravan in Summer! NOTE: For numbers over 14 persons, you MUST CHECK IF THE SEPARATE CABIN LISTING IS ALSO AVAILABLE!! 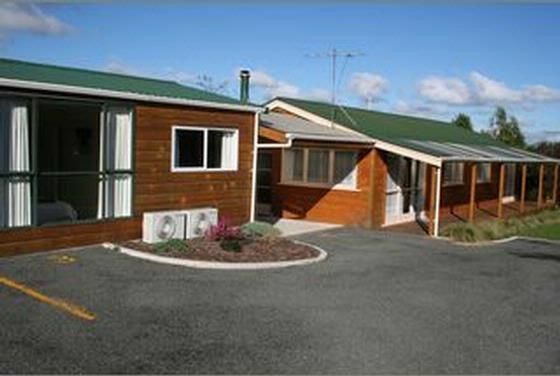 Private farmlet with chooks and sheep for the kids to play with, plenty of space and off-street parking, no sulphur, traffic or streets to worry about, massive BBQ and volleyball area, playhouse and sandpit, hot spa pool, extensive decks, fully furnished renovated homes with quality beds and linen. Great for several families on holiday or reunion, school groups or sports teams, or even tour groups wanting some fresh air and privacy from the city rush. We are still very close to town but you would never know it - within town boundaries but seems like you're amongst nature! This is also an excellent venue for your Stag Do, Hen's Night, or Special Birthday party - we just have a small surcharge and bond for any alcoholic occasions, and ask that you ensure the noise is controlled and indoors after 10pm. *All prices include bedding, towels, and cleaning of linen when you leave. Thanks so much guys, really appreciated your stay, and love to have you back! Very family friendly. The staff member Ash was incredibly helpful. The kids loved the farm and animals. The building was clean. Great location, clean and great for larger families. We hired the Cottage whilst over from the UK visiting family. We were a large family but were able to sleep happily and have the equipment we needed to cook for us all. Kerris brought us three dozen eggs and this proved very useful! Great location and quiet. Thanks so much Naomi, glad you found the Cottage big enough for your group. Love to have you back any time. Enjoy the rest of your holidays. The property and location is great.Not too far to the shops,spacious, and plenty to do for the kids ? ?.My brother and sister came over from Tauranga for the day and they were very impressed with the accomodation??? ?